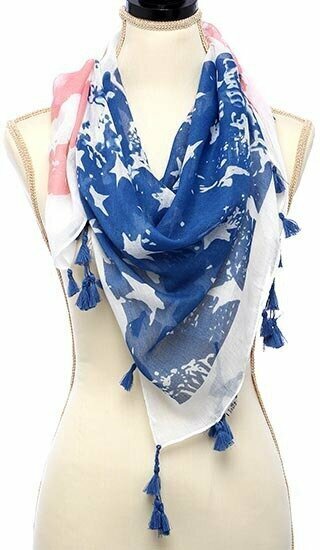 100% Polyester Independence Day American Flag With Tassel Trim Oblong Scarf. 39" x 39". Flat size approximately 42" x 42". 100% Polyester. 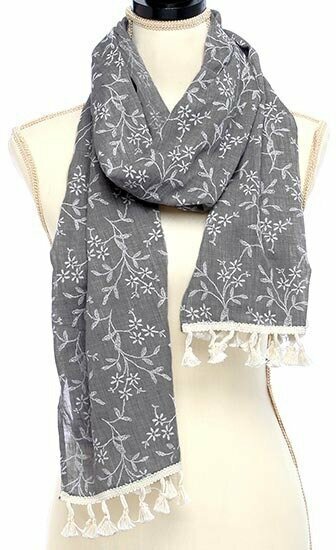 Grey 80% Polyester 20% Cotton Embroidered With Tassel Scarf. 16.5" X 71" + 1.5" Fringe. 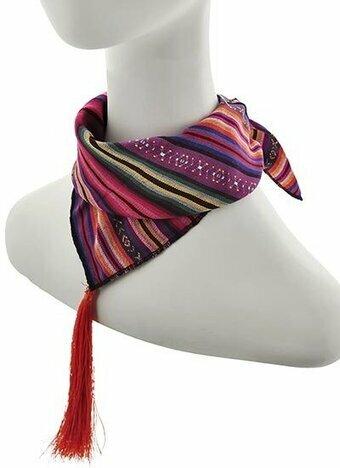 Multi Color 70% Polyester, 20% Cotton, 10% Nylon Stripe Tassel Scarf. 23 1/2" x 23 1/2". 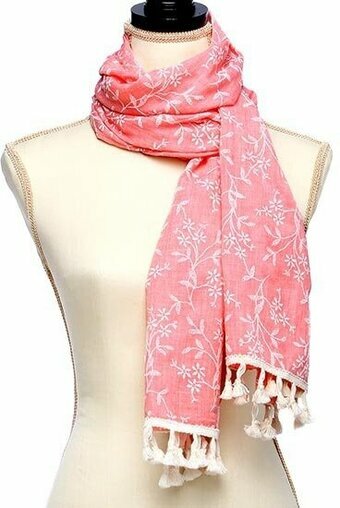 Peach 80% Polyester 20% Cotton Embroidered With Tassel Scarf. 16.5" X 71" + 1.5" Fringe. 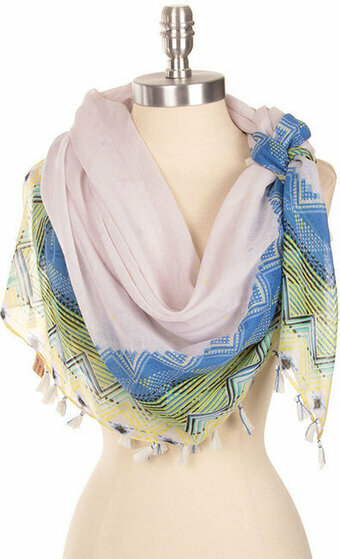 Pink and Purple Abstract Printed Scarf With Tassel. 35.4" x 70.8". Polyester.